Clinton's Ditch offers something for every taste with a wide selection of food and drinks along with an atmosphere that revolves to suit your mood. From happy hours, intimate dinners, private parties, drinks on the outside patio, or an exciting nightlife - Clinton's Ditch strives to cater to your every need. Started in 1817 and completed in 1825- The Erie Canal was considered a marvel of engineering. The 524-mile NYS canal system connects hundreds of lakes and rivers throughout the state. The canal was dubbed “Clinton’s Ditch” by those opposed to Governor Dewitt Clinton’s idea to connect the far corners of the state. When completed, The Erie Canal opened the only trade route west and helped make New York the predominant commercial city in the United States. Today, the canal is used mainly for pleasure and sections have been replaced by alternate waterways. For those interested in the Erie Canal, its 57 locks have been meticulously maintained and service thousands of boaters every year. 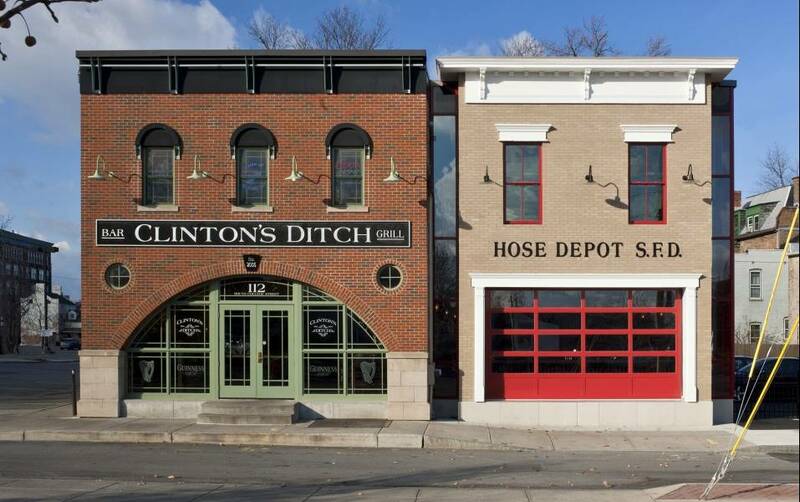 Through a collaboration of friends, family, and the city of Schenectady, Clinton’s Ditch Bar and Grill opened in 2005. We transformed a run down, abandoned tavern into a place where people from near and far come to enjoy great food, close friends, and an atmosphere (both inside and out) that is like no other in Schenectady. At Clinton’s Ditch, we offer something for every taste with a wide selection of food and drinks along with an atmosphere that revolves to suit your mood. From happy hours, intimate dinners, private parties, drinks on our outside patio, or an exciting nightlife - Clinton’s Ditch strives to cater to your every need. Toasted tortilla chips with diced tomatoes, melted cheddar cheese, red onions, black olives and hot cherry peppers served with sour cream and salsa. Named after our most recent predecessor, this is our basic package at $14 per guest. Your choice of two Union selections and two Liberty selections. At $12 per guest this package is great for a lunch, happy hour or small gathering. At $17 per guest, this package offers a step up in quality and quantity for more important occasions. Choose three Front Street selections and two Union Street selections. 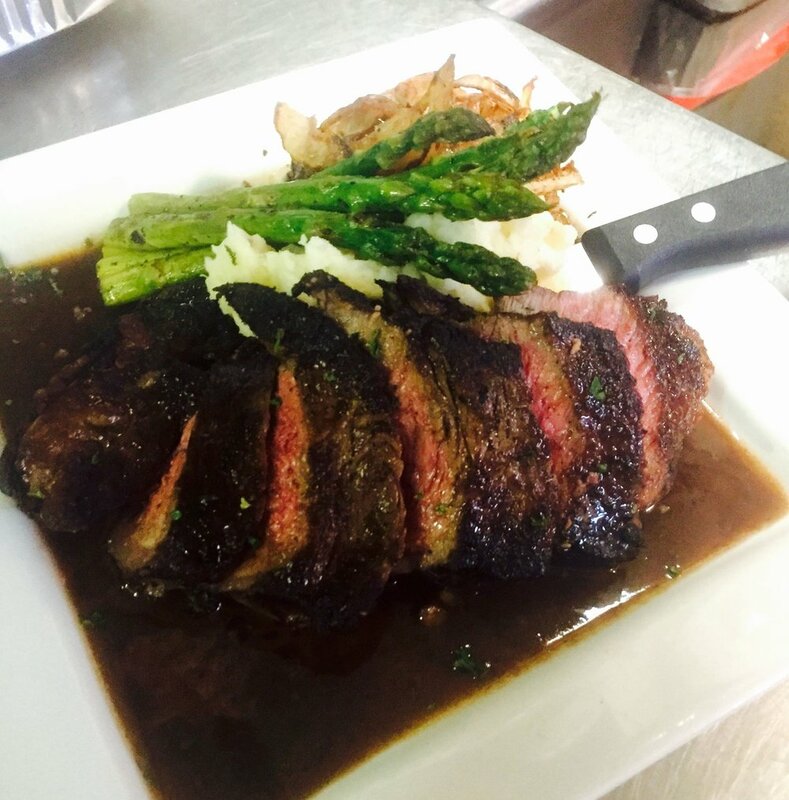 At $22 per guest, these selections are prepared with special care to ensure the quality that the name suggests. Impress your formal company with three North College Street selections along with three South College Street selections. Have some comments, suggestions or want to reserve a private party?